I recently had a discussion with my friend Brian Ghidinelli. We were discussing several different projects that would be fun to work on not limited to anything related specifically to software, hardware or mechanical. 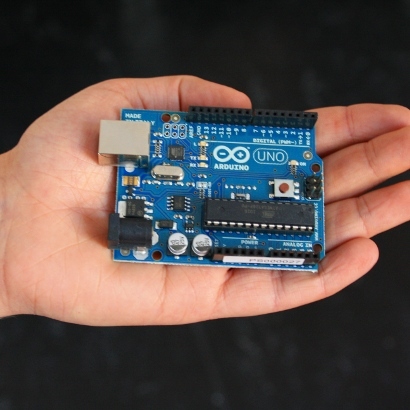 Doing a little research on some possibilities for a project ideal, I came across a prototyping device called an Arduino. You can argue that it can be viewed as an ‘older version’ of a Raspberry Pi, which is based on Linux. Back to the topic at hand, even though I haven’t dove into the product too much, I already thought of potential possibilities of what could be created. Some are nothing new, just a test of skills. And…. here it goes…. MMS text of visitors Who visited your home when you were gone? Receive a text with image. I’m ready to get started. Arduino. Check. Breadboard. Check. Random jumpers, buttons, LED’s. Check. Bandaids. Check. Copyright © 2019 Terrance Seto.